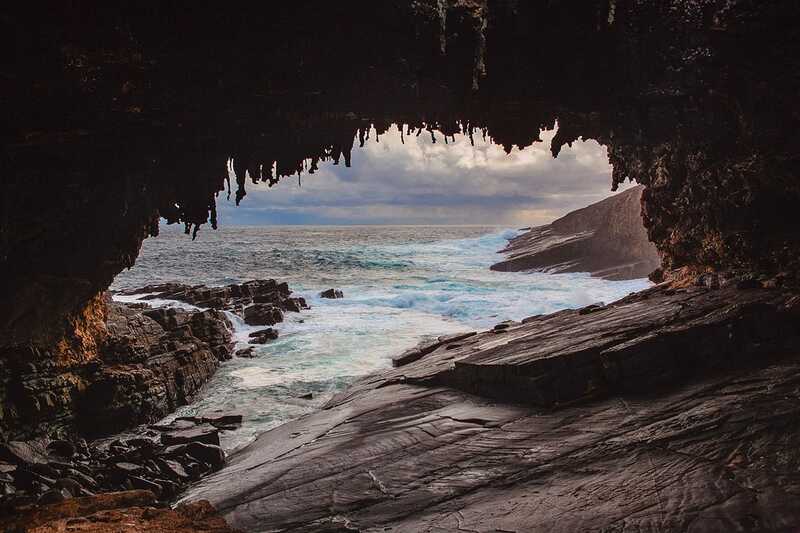 Frequently regarded as the best location to see Australian wildlife in the wild, Kangaroo Island is a destination of stunning scenery, iconic Australian landscapes and friendly locals. Common feedback from travellers is that their time spent on Kangaroo Island was their most memorable in their entire Australian experience. We shouldn’t be surprised, given Kangaroo Island is frequently regarded as the best location to see Australian wildlife in the wild. Some like to call Kangaroo Island a zoo without fences. Kangaroos, koalas, wallabies, penguins, echidnas and bird life all call the island home. Seal Bay is the only place in Australia where you can walk on the beach amongst a colony of endangered Australian sea lions. 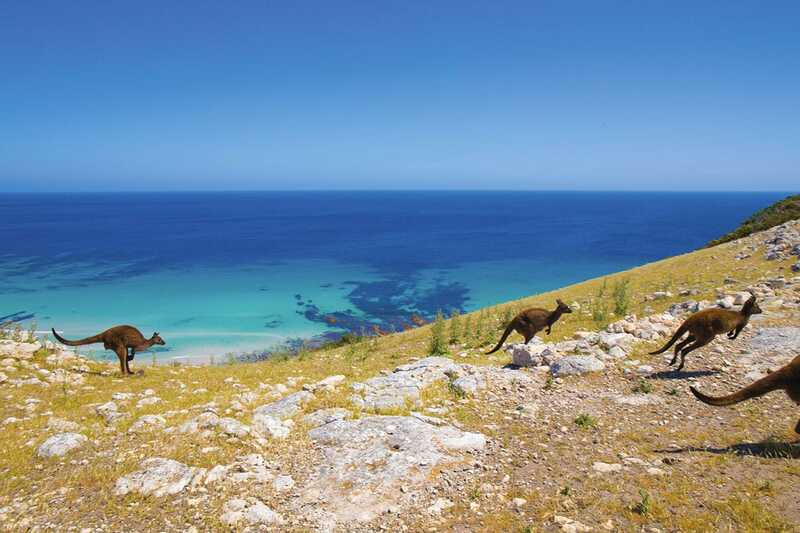 Kangaroo Island gives you Australian nature and wildlife at its very best. Rugged coastal cliffs, sheltered bays cupped between steep headlands, vast native bushland and rolling hills of farmland are just some of the landscapes on offer. 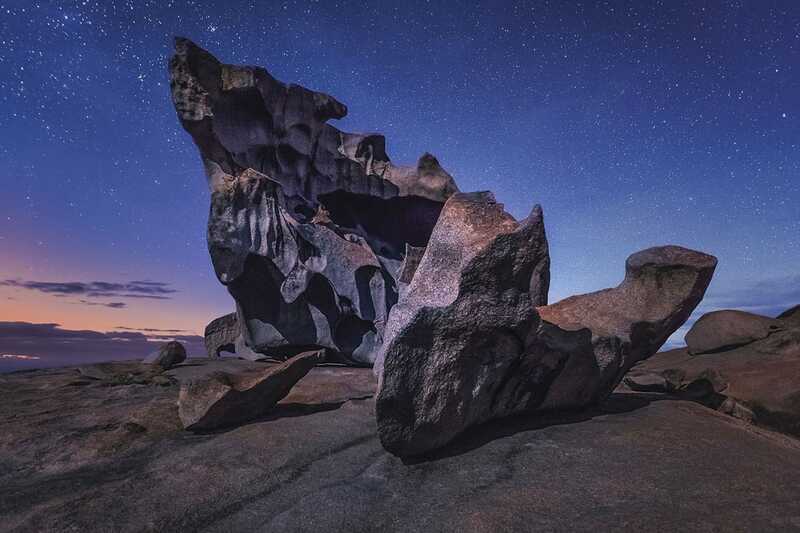 Remarkable Rocks and Admirals Arch are surely two of Australia’s most fascinating coastal landmarks. With all the wildlife and natural beauty you could be forgiven for thinking Kangaroo Island is uninhabited by humans. Although the resident population only numbers 4,500 people, its an island with fascinating human stories to tell. From the wild early tales of escaped convicts and sealers to proudly being the home of Australia’s first free settlement it is a place with a history unlike anywhere else in Australia. Today Kangaroo Island is home to farmers, winemakers, artists, chefs and many more welcoming people. They are proud of what they have and take delight in showing it off to visitors. Kangaroo Island is rich in history. In 1802, British explorer, Matthew Flinders, landed near Kangaroo Head on Dudley Peninsula. French explorer, Nicolas Baudin, followed soon after and mapped most of the island. Kangaroo Island became Australia’s first free settlement, with sealers, escaped convicts, and runaway sailors calling the island home. Today, you can stay in heritage accommodation and see some of South Australia’s first lighthouses at Cape Willoughby, Cape Borda and Cape Couedic. There are loads of accommodation options, from simple lodgings to breathtaking luxury. Be pampered with a day spa and beauty treatments, then go straight to the dining table for exquisitely prepared regional produce. We recommend Southern Ocean Lodge for a truely luxurious experience. For more information please visit South Australia’s website. Image Credits: Drea Chong, Lachlan Swan & Ben Goode.